Hi blog readers! This week we have two difficult themes again. I finally got it all sorted and my computer crashed, saving nothing. I can't help but feel this version will not be quite as good as the last one but please bear with me... Let's jump in! 1. Favorite Movie Pre-1965: I considered the Marx Brothers, Screwball Comedies, and Historical Dramas. I then narrowed it down to The Sound of Music and the Wizard of Oz. Today's choice: Wizard of Oz. The movie made me want to read the book, which made me want to read all 14 official books. Despite outdated cultural insensitivities, there is also a great deal of magic and imagination created generations before Harry Potter hit the scene. My favorite thing about the film is the underlying message that if you want to improve yourself, you can. A wizard can't fix you, only you can do that. You'll probably have to walk through some scary places to get there, but if you are willing to face your demons, you'll be rewarded with great power. It's a great message and just rings true. 2. Favorite Children's Book: This time I have to mention a few faves, but will ultimately settle on one. Probably. First runner up - any of the soothing Ant and Bee books by Angela Banner. I used to get these at the library when I was little and studied them very carefully. As an adult I tried to hunt them down, only to discover they are considered "collectible" and go for hundreds of dollars apiece. Oh well. 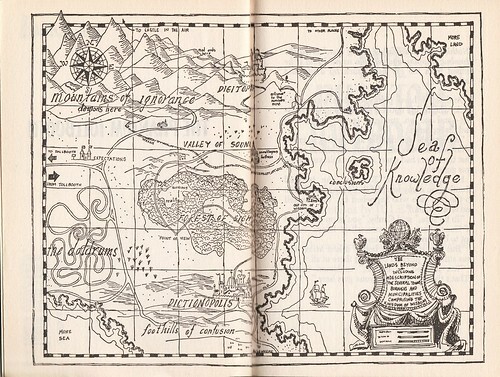 I also loved The Phantom Tollbooth by Norton Juster. Oh what a crazy story, full of puns, which seemed meaningful to my young mind. Reading this book as a child was like an acid trip, in the good way. ...and let us not forget From the Mixed-Up Files of Mrs. 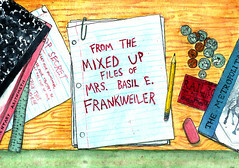 Basil E. Frankweiler by E. L. Konigsburg. In short, what kid doesn't want to live in a museum, collect coins out of the fountain and sleep in important beds? I did. Okay, enough honorable mentions. It's time to make a real choice here. Favorite book? The Best Story Book Ever by Richard Scarry. Also the Best Word Book Ever. Pick one? Why?! Richard Scarry is the best. That is the point. don't you want to play with paint now? I used to think a lot about Kenny's Breakfast and how huge it was. Anyone else?